Archives of the ATM mail list. All you questions answered and then some. Tommi Worton Great website with for sale section. Steve Moore Astrophotography with real film! Philip Cowley More telescope making. Norwich Astronomical Society. Not in Norwich but definitely a great astronomical society. Breckland Astronomical Society Very enthusiastic group of astronomers with an incredible dome. 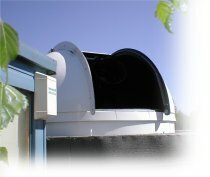 North Norfolk Astronomical Society Friendly group with good website. Norfolk Astronomers. The regions most ambitious group.